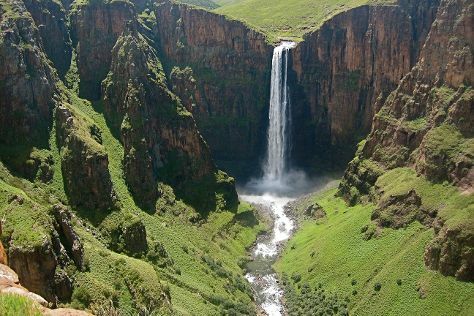 Explore the numerous day-trip ideas around Maseru: Teyateyaneng (Ha Kome Cave Houses & Setsoto Design Gallery), Maletsunyane Falls (in Semonkong) and Gates of Paradise Pass (in Malealea). The adventure continues: take in the awesome beauty at Maluti Mountains, try your luck at Lesotho Sun Casino, take in the architecture and atmosphere at Our Lady of Victory Cathedral, and look for gifts at Thorkild Hand Weaving and Moteng Weavers. To find other places to visit, reviews, maps, and more tourist information, read our Maseru sightseeing planner. Port Elizabeth, South Africa to Maseru is an approximately 7.5-hour car ride. You can also fly. Expect a daytime high around 24°C in September, and nighttime lows around 15°C. You'll set off for home on the 20th (Wed).